You'll never get me to do this at night. No siree. A rapids ride in the evening air? That's inviting shivers. And pneumonia. Why, I'd positively get drenched! And then to walk around sopping wet, with no bright, warm sun to dry me off? I meant, what, is the moon going to that? Of course not. So why in the world would I ride Grizzly River Run at night? No, I'll simply admire it instead. Because it sure is purdy, I'll give it that! 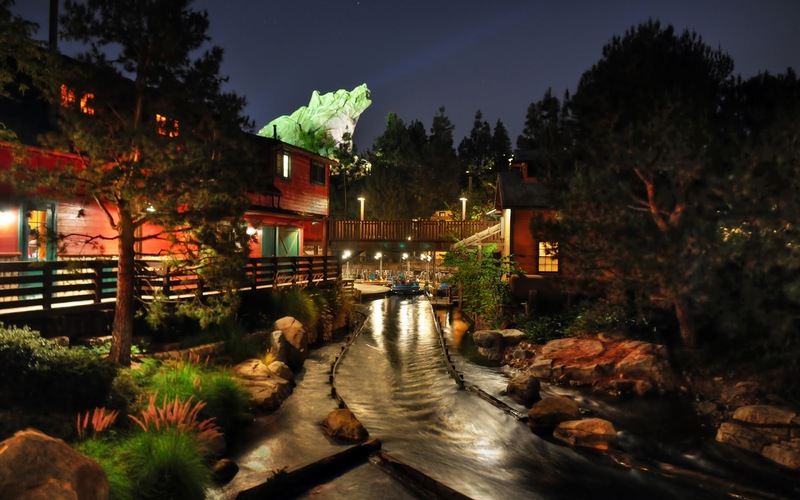 The boarding dock for Grizzly River Run, shining at night.